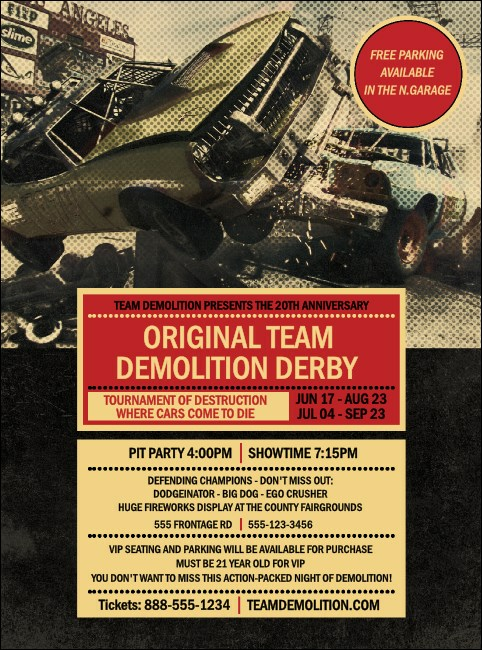 Increase the impact of your pre-event promotions when you print Demolition Derby Flyers and advertise your motorsport event in advance. Each action-packed Flyer features the distressed image of a big derby crash on a newsprint-like background with a faded-black and bright red theme. Find your road to success with TicketPrinting.com.